1 large Rootstock/plant. These are fast growing plants that bloom in a profusion of pink flowers when the weather starts to warm, all during the hottest summer months and all the way until frost. These BEST thing about these is that the BUTTERFLIES and HUMMINGBIRDS **LOVE** THESE BLOOMS! 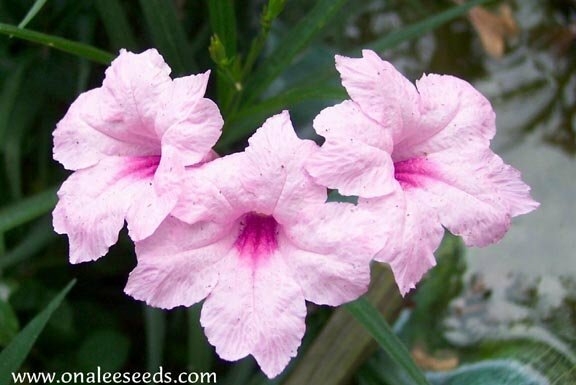 You are buying one large rootstock of Pink Flowering Mexican Petunia (sometimes called Mexican Chi Chi, Desert Petunia) (Ruellia Brittoniana). There are at least 3 stems coming up from each root, but the stems will be cut back to about 6-10 tall for shipping (leaves and flowers will be removed). These will grow back quickly when temps are warm. These are tropical plants and do need WARMTH to grow well. This is the variety that grows TALL, and will reach a height of 3 - 4 feet. These roots have been growing in soil, not in water, so they are very hardy and tough. As always, planting and care instructions are included with all my plants and seeds. 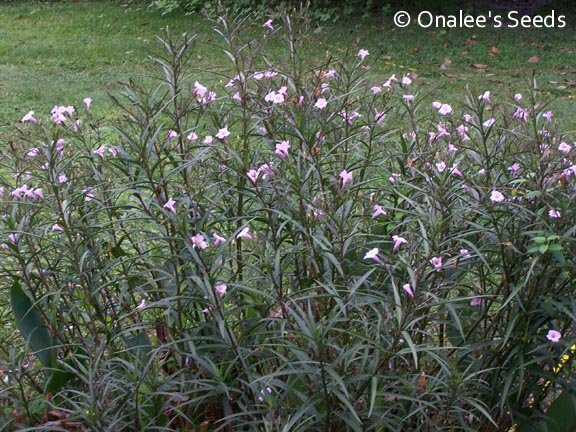 These are fast growing plants that bloom in a profusion of pink flowers when the weather starts to warm, all during the hottest summer months and all the way until frost. These BEST thing about these is that the BUTTERFLIES and HUMMINGBIRDS **LOVE** THESE BLOOMS! You can watch the hummingbirds zip from flower to flower feeding on the sweet nectar of these flowers - plant these where you can see them from your window and you'll have a front row seat to the show! 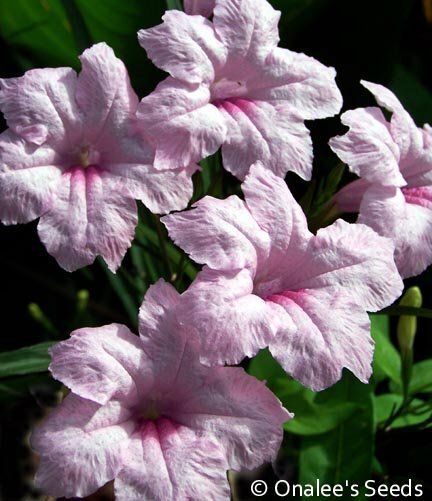 These can grow in full sun or partial shade they love damp soil, but can definitely survive in dryer conditions such as 'normal" yard conditions and I would even say they are drought tolerant, but bloom best with average or better water. Mine are growing in partial shade in sandy well draining soil and doing just fine - only needing to be watered during the driest periods. These plants will reach 3" high and 1'-2" wide. These plants produce seeds, so they will multiply and spread! If you don't want a plant that will spread, then don't purchase this plant. These are perennials hardy to USDA Zone 8a: to 10? F. They will die back in the winter, but will return in the spring. Suitable for container growing in colder climates. Shipping within USA only. Email me with any questions I will answer your emails!